30 Day Gratitude Journey – Gratitude Changes Everything! Home 30 Day Gratitude Journey – Gratitude Changes Everything! Thanksgiving is a wonderful time to count your blessings. Here is our special recipe to enjoy this holiday season. Can a moment a day really change your life? Research shows that the simple act of gratitude has a profoundly positive impact on your quality of life. Practicing gratitude can impact your relationships and your overall perspective of the world around you. 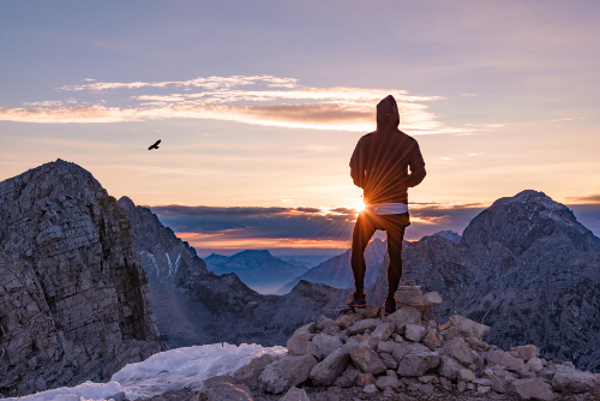 However, in our rapid fire, overloaded world we live in, many of us find it hard to take a moment to acknowledge our many gifts and lessons which are all around us. 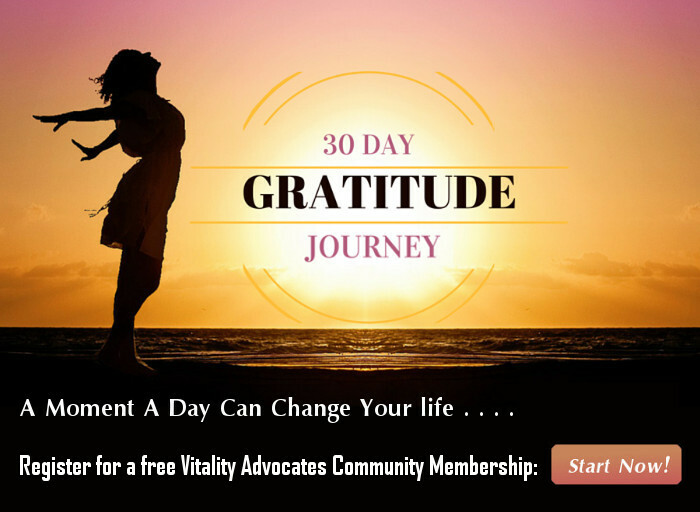 To help you experience the benefits of gratitude, you are invited to participate in a free 30 Day Gratitude Journey sponsored by Vitality AdvocatesTM, a new online community dedicated to the many aspects of vitality. Based on your personal time preference, you will receive an email each morning or evening for 30 days in your inbox that includes an inspirational image and quote with a link to your personal and private gratitude journal. You can express your moment of gratitude in your journal as a single word, phrase or sentence. This will help you establish a habit of gratitude and you’ll see for yourself that a moment of gratitude will lift and refresh your spirit and enhance your perspective on life. Regularly focusing on the things you’re grateful for provides a fabric of appreciation and positive energy that you can carry throughout the day to reduce the impact of life’s little (or big ) annoyances. At the end of your journey, you’ll have compiled a list of many things that bring you joy and are worthy of gratitude. It’s a very small investment of your personal time that has the potential to positively change your life. What do you have to lose? Let’s get started and enjoy the journey!